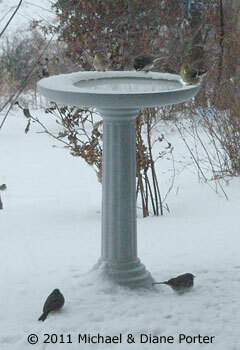 This morning my eyeballs fell out of their sockets when I saw a full dozen bluebirds drinking from my heated birdbath. Iowa. Middle of winter. 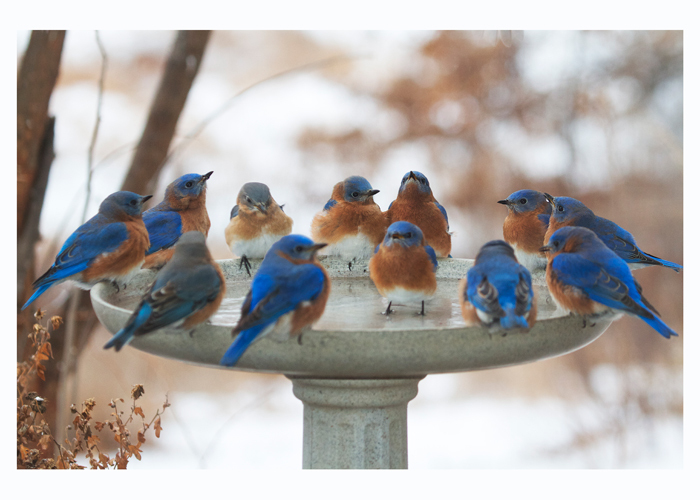 Bluebirds by the dozen! Warmed me right up, though, starting the day like that. 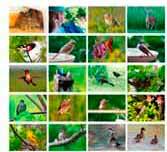 This image is now available as a greeting card at Fine Art America.